This is a quick low point breakfast, perfect to use up your leftover broccoli and a great way to get veggies into your breakfast. I just discovered Weight Watchers Swiss Cheese, only 1 point. In a small bowl beat egg, egg whites, milk, salt and pepper. In a medium non-stick skillet heat on medium, spray the pan lightly with oil. When skillet is warm add the eggs rotating pan to completely cover. Reduce heat to low flame. 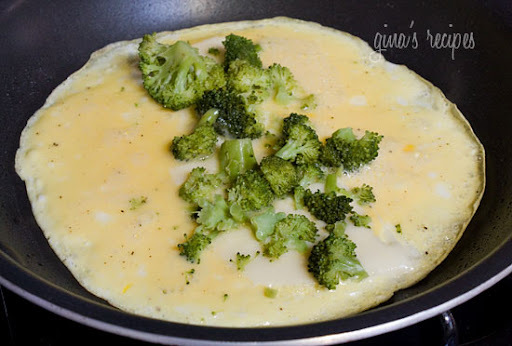 Lay the cheese down in the center of eggs and top with broccoli. When the eggs are set, flip the sides over to the center to create your omelet. 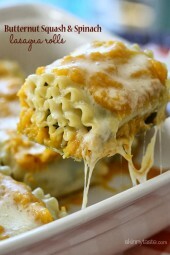 Can I make this at night and reheat for work the next morning? This is my first home made omelete, it sure was treat. Better than restaurants. 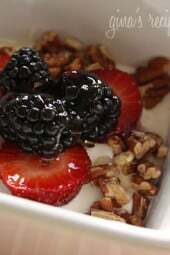 It was nice and light, don't like heavy meals this will be my one stop web recipe site. Thanks Gina for all the great ideas! This was delicious! I tweaked it a little bit, and it was also great! I used 1 egg and 1 egg white and added water instead of milk. I also added canadian bacon which was great. 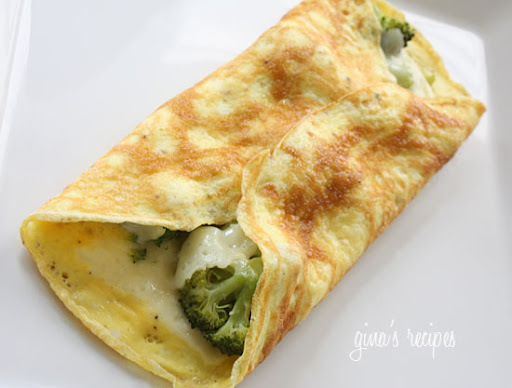 I highly suggest adding a meat to this omlet! YUM! 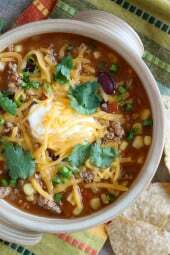 Gina, your recipes are wonderful! this is amazing! I loved it so much and so did my husband! will be making it more 🙂 thank you! That can't be right, I'll do this one next. What would be the current points plus value of this? I calculated 4 points plus. Great! Now try adding different things, like ham, mushrooms, whatever you like! I have never sucessfully made an omlet before. Until today, the first day on my diet. This is a definate motivation, that I can do this! 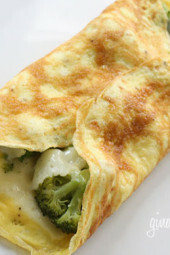 Broccoli is also one of the ten fat-fighting foods!I will try this dish.Thanks for this simple dish. I made this and I loved it. Great way to start my day! Broccoli is also one of the ten fat-fighting foods!